How To Make A Summer Pudding Prosecco Slush. Fancy making an adult Summer pudding prosecco slush drink? Full of Summer fruit, crushed ice, a bottle of prosecco and a few tbsps of caster sugar. How yummy!? This slush would be perfectly severed up at any Summer party or BBQ you may be hosting. We love slush drinks here. You can make them up for all the family. Simply make some non-alcoholic ones up for the children and alcoholic ones up for the grown-ups. You can also swap a few of the frozen berries around in this recipe for ones you already have in the freezer. Enjoy the fruit-burst flavour of this fun cocktail – it’s a slushie for adults only! 1. Put the berries into a blender with the Tate & Lyle Golden Caster sugar and the ice cubes. Blend until smooth. 2. Share the mixture between 4 tumbler-style glasses and top up with chilled Prosecco. Serve immediately. Cook’s tip: This is a great recipe to make when Summer berries are at their best. Vary the ingredients with fresh redcurrants and blackberries when they are available. Recipe and image credits c/o: This recipe is made using Tate & Lyle Sugars, for more delicious recipes visit Taste And Smile. 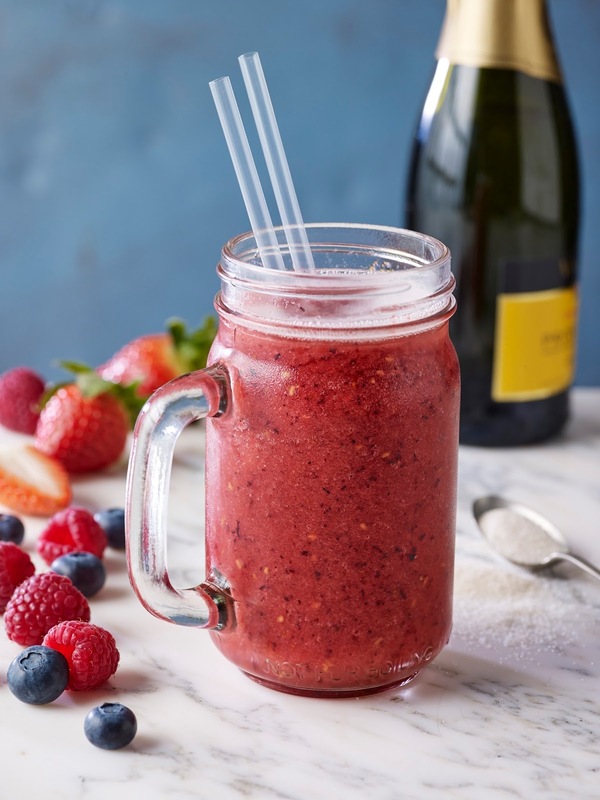 Fancy making a Summer Pudding Prosecco Slush? Let me know how your thoughts if you get to make this recipe. How To Make A Summer Pudding Prosecco Slush, why not pin for later? Perfect for any hot Summers afternoon or evening in the garden. Do you like to make slush drinks or cocktails? Check out these other drink recipes. "Fig and Caramelized Pecan Preserve"
I bet this is so tasty!I would love for you to share this with my Facebook Group for recipes, crafts, tips, and tricks. Thanks for joining Cooking and Crafting with J & J! This drink look so good Claire. Thanks for sharing it at C&C with J&J. I tried it with "Conti Riccati Prosecco Brut", a prosecco from Tuscany and with strawberries. All my friends liked it, thank you Claire for the recipe! This looks like an amazing treat for summer! I wanted you to know that I included it in a round up of refreshing drinks and treats on my blog. Thanks for linking it up at the Create, Link, Inspire party. Can't wait to see more!